There is a link between snoring, asthma, and nighttime coughs in preschool children according to a study from Australia published in the August 2003 issue of Chest. We’ve known for awhile that nighttime coughs can be a sign of asthma. This study showed that children who snore are far more likely to have asthma than children who do not snore. 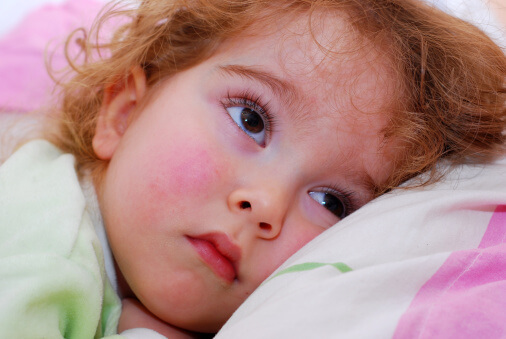 Also, children who snore are more likely to have nighttime coughs, whether or not they have asthma. When asthma is well-controlled, snoring may decrease. Conversely, snoring may be a trigger for asthma. Treating the snoring may make asthma easier to control with fewer medications. Occasional snoring is very common, and usually not a reason for concern. Snoring is also common during respiratory infections. Habitual snoring, though, is an important symptom to report to you child’s doctor – especially if the child has asthma, sleep problems, bedwetting problems, poor growth, falling grades, or problems with learning, behavior, or attention. Dealing with the snoring can be a powerful gift to your child.